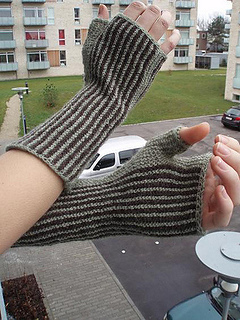 Pinstripe Mitts is an easy pattern for a pair of lightweight fingerless mitts. 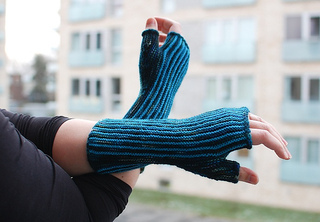 They are worked in garter stitch in thin yarn. 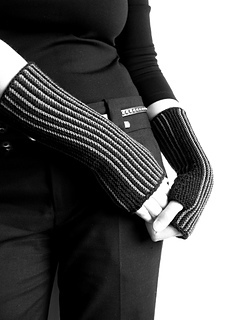 This gives a pair of mitts that are perfect for chilly days or to wear under gloves and coat to close that annoying gap. 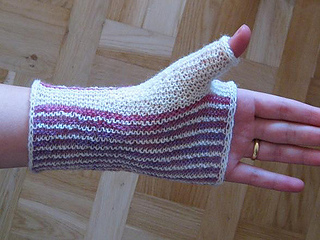 You need only small amounts of yarn, so these mitts are perfect for using up odd bits and pieces. 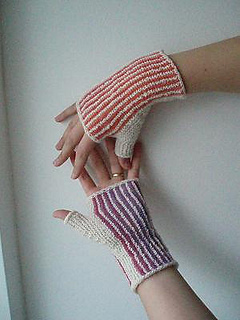 The pattern gives directions for two lengths, a short and a long, and two thumb widths. The width of the hand is decided by you (directions are given).